Exclusive Japan Package, guests fly free. 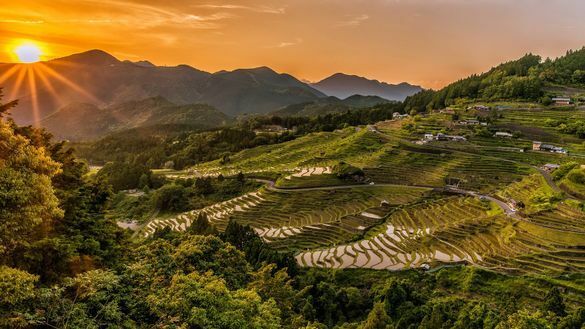 Discover the majestic beauty and rich cultural tapestry of Japan, as well as neighbouring South Korea and Taiwan, on a 14-night cruise around the Sea of Japan on board Diamond Princess, departing 1 June 2019. This one-of-a-kind 16-night cruise package will have you flying FREE and enjoying two nights’ accommodation at the world-class Hilton Osaka, before the cruise departs on its round trip from Kobe. From relaxing in the famous hot springs of Matsuyama (Dogo Onsen) to visiting the extraordinary temples of Busan, this itinerary has something to offer travellers of every persuasion. Guests will enjoy a wide range of unique sights and experiences, including day excursions to the Japanese port cities Kochi, Matsuyama, Miyazaki, Kagoshima, Okinawa, Ishigaki and Kobe, as well as South Korea’s Busan and Taipei in Taiwan. For nature-lovers, the white sand beaches, mangrove-lined rivers and jungle-covered mountains of Ishigaki Island create the perfect outdoor playground, with hiking, kayaking and snorkelling all popular options for travellers. History buffs will also enjoy visits to memorials, shrines, museums and other historically significant sites replete with fascinating and ancient relics. Other highlights include a glass-bottomed boat ride through the pristine turquoise waters and colourful coral reefs of Kabira Bay; wandering in breathtaking ancient palaces; a visit to a Shochu Brewery; meandering around charming towns to peruse traditional Japanese wares (like Tobe-yaki pottery); and indulging in the delicious cuisine for which Japan, South Korea and Taiwan are rightly famous. Guests will be impressed by the Diamond Princess’ lavish offerings. With a wine and caviar bar, Princess Theatre, 9-hole putting course, casino and numerous pools and hot tubs, guests will find it hard to leave. Right now is the perfect time to secure your spot on Ecruising’s fantastic Discover Japan 16-night package, for savings of up 45%, with prices start from just $3,569 per person twin share, inclusive of economy class flights and transfers in Osaka. Subject to availability, terms and conditions apply. www.ecruising.travel or telephone 1300 369 848.